Whether you’re new to printing and self-publishing or a seasoned expert, our step by step process is tailored to your specific needs. With PrintNinja, you get the perfect combination of high-quality custom printing at an affordable price, with hands-on customer service. There’s a reason our customers love us. When you work with PrintNinja, you can expect to have one account manager and one prepress expert see you through the entire length of your project. Our friendly, knowledgeable team has worked with creators from all experience levels, and are here to answer all of your questions. Top quality printing at low per-unit prices. Projects are produced using sheet-fed offset machines, ensuring the highest quality print. 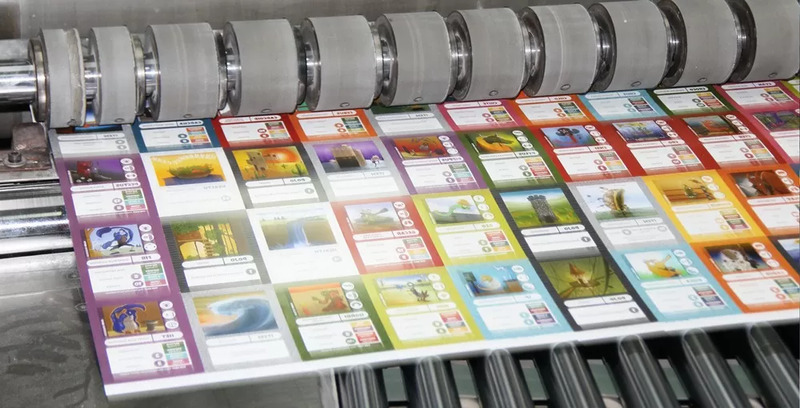 Compared to digital printing, or print-on-demand, offset printing produces richer, more consistent prints, with a broader array of options to customize your project. Depending on your project specifications, turnaround time can be as little as 2-3 weeks. Turnaround time depends on your choice of proof, binding, and shipping type. The time before proofing, including file setup, and revision within the proofing process, are not counted here. We encourage customers who are new to printing to plan for an additional week as we help you prepare your files to be ready for print. Please keep in mind that these timelines are estimates. Learn more. Wondering what it means to self-publish with PrintNinja? Here’s our step-by-step guide for what to expect. Head to our calculator to price your product specifications. Most projects can be quoted instantly online, but you can also request a custom quote if you don’t see exactly what you’re looking for on our calculator. Your quote is valid for 90 days. To place your order, use the link provided in your quote confirmation. Make sure everything on your quote is accurate, including page count, size, and order quantity. You can pay by credit card, debit card, PayPal, or check. After you place your order, you’ll be able to upload your files. Our prepress experts will review them and work with you to make sure they are print-ready. Once you give us your final approval, we’ll send them to print. Our team in China has overseen the successful production of millions of books and games. During the printing process, all projects are reviewed for quality control. Your project is then packaged securely so they’ll be safe in transit. With standard delivery, most projects arrive around 6 to 8 weeks after production is complete. We also offer expedited shipping, which can shrink your shipping time to about a week. Many customers opt to split their order and receive some expedited, and some standard. This is a great option if you have an upcoming event or want some advanced copies. We trust you to bring us exactly what you want, and you can trust us to make it happen. That’s how our guarantee works. When you place an order with us, the final result will be accurate to the specifications found in your quote. Your order will be produced using the highest quality materials and the best methods possible. If your project is produced using anything other than the materials you selected and approved on your quote, without your approval to substitute, we will correct the problem with a refund or reprint. * Should only a portion of your order be affected, such as damage during shipping, we reserve the right to offer a prorated refund or reprint reflective of the number of copies damaged. * There are a few exceptions to this policy for variances outside of our control. This was our first photography book and we knew 'printing' was everything to make this book a success. Their support staff was super helpful and did guide us through step by step! They gave a great technical review that helped us repair some flaws in our layout before going to print, and were totally cool with our intermittent communication as we managed the whole process during our busy travel season. The books are beautiful, and I can't wait to start delivering them to our Kickstarter backers! I loved my experience with PrintNinja - responsive, beautiful product, and so many customized options to make my book really stand out.